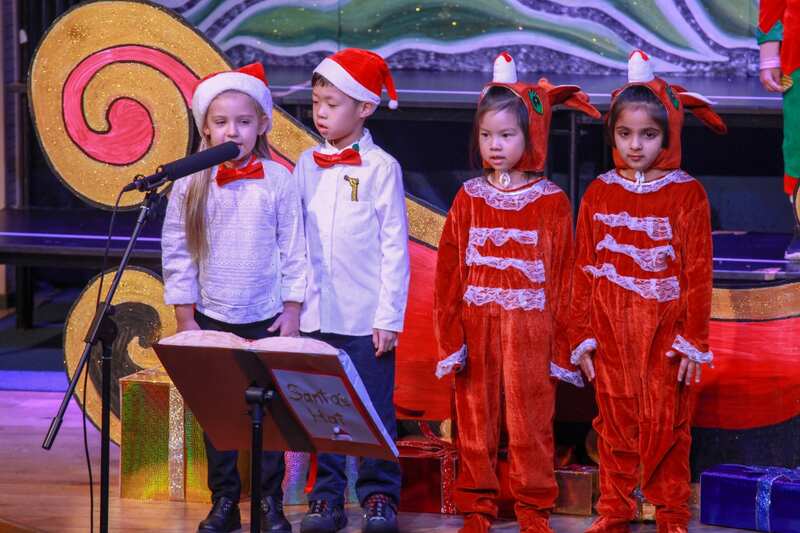 Christmas is fast approaching, and at YCIS Pudong, students have been ensuring that everyone is getting into the festive spirit! 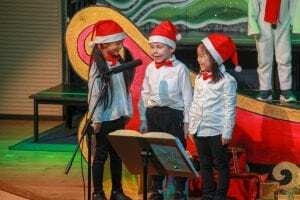 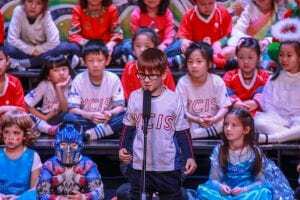 After the fantastic school-wide Winter Concert, and the joyous Christmas Tree Lighting event that kicked off the seasonal celebrations, students from YCIS Pudong Primary have been keeping parents and staff entertained with a series of Christmas concerts. 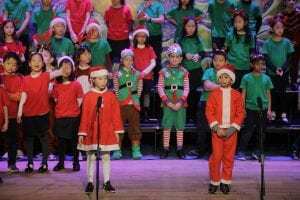 Nothing says “Christmas” like the sound of holiday songs performed by groups of enthusiastic student singers. 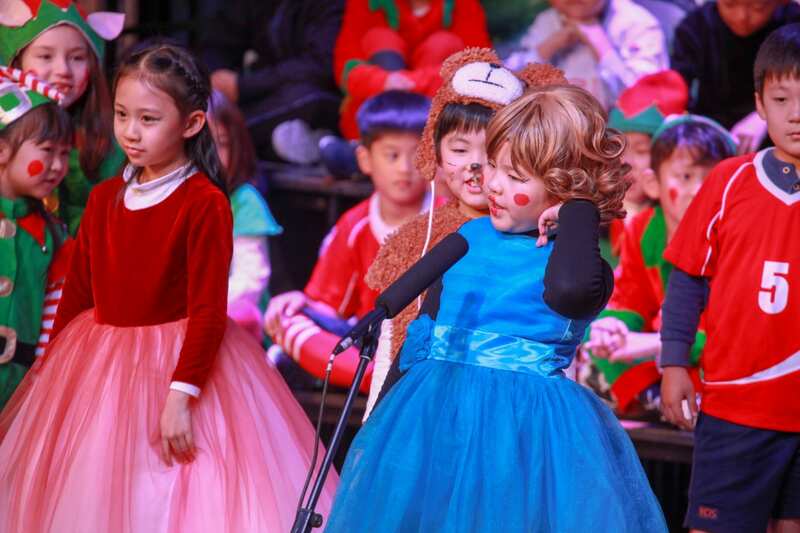 Over the past two weeks, the Primary students have been making the short hop over to the Century Park Campus Theatre to participate in different pageant-style shows. 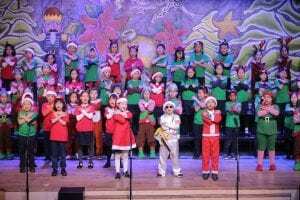 Each of the shows included short, scripted sections and original songs to keep the audiences entertained. Starting off the fortnight of Christmas cheer were the Year 1 students with their delightful ‘Santa’s Hat’ production. Next up were the Year 2 students with their heart-warming tale ‘A Christmas Toy Story’. 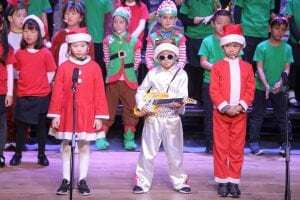 The students from Year 3 gave a rousing performance of ‘The Elves’ Impersonator’, while the Year 4 students left the audience smiling with glee after their show, ‘Elfis and the Sleigh Riders’. 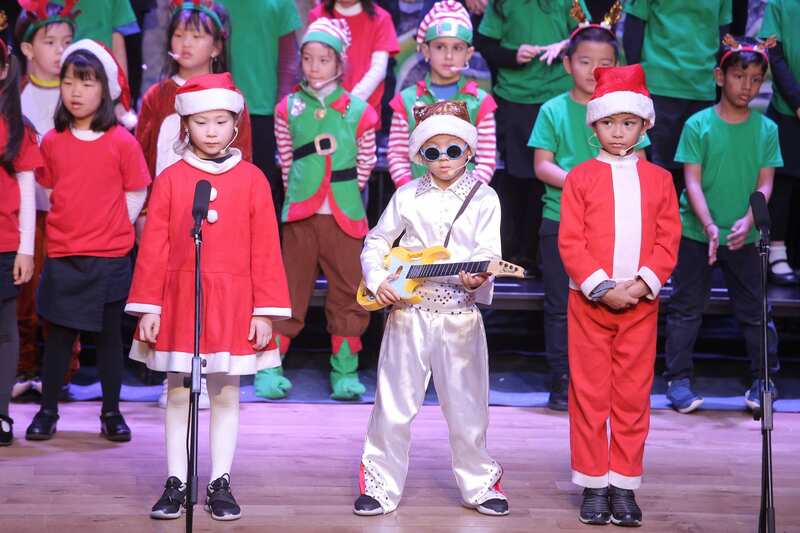 The Year 1-4 Concerts even had a special guest dressed in red, drop in from the North Pole, much to the excitement of the performing students on stage. 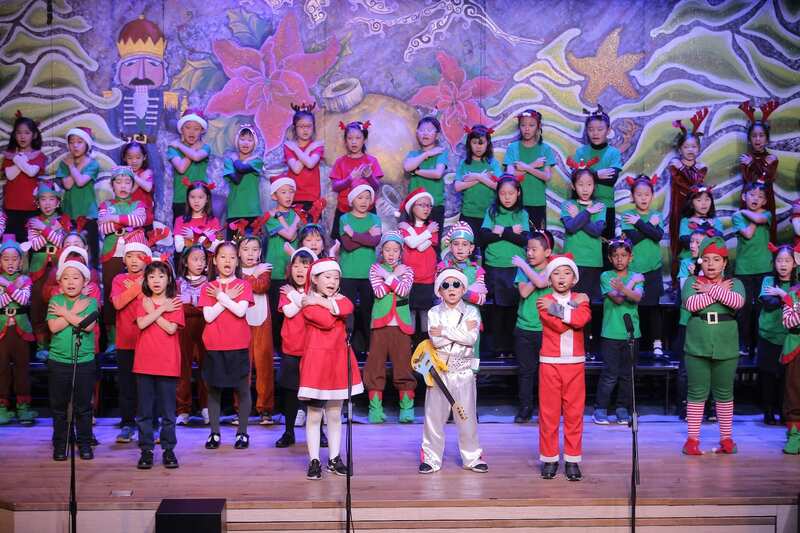 To cap off the week, students from Year 5 and Year 6 joined together for an ensemble variety show/Christmas assembly. 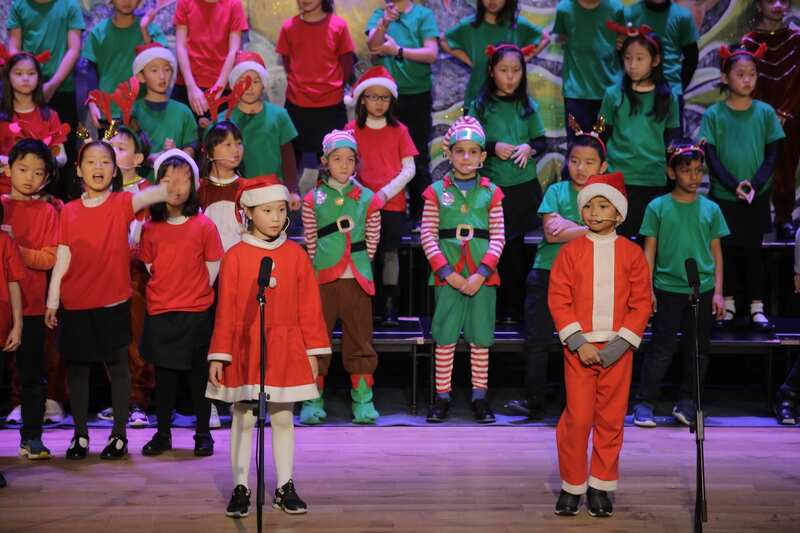 For Year 5 and 6, this is just the beginning. 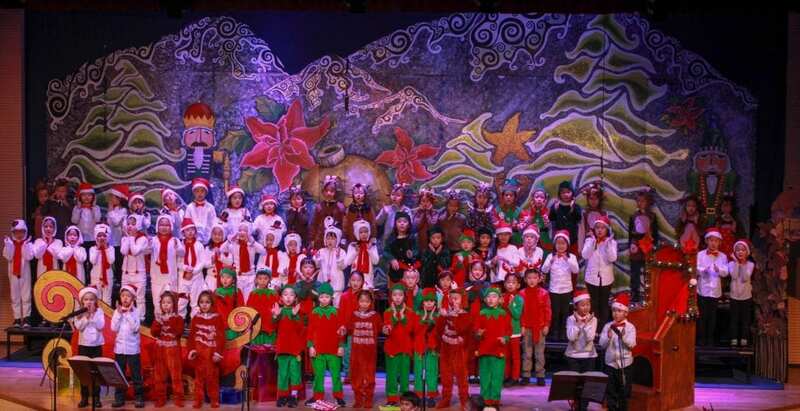 They will follow up with their much-anticipated Spring Musical next semester. 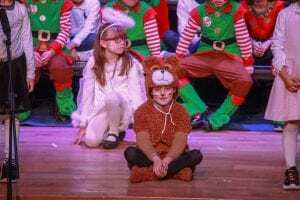 We can’t wait for that show. The Year 1-6 students have all produced some magical performances, making this special time of year even more delightful for all in attendance. 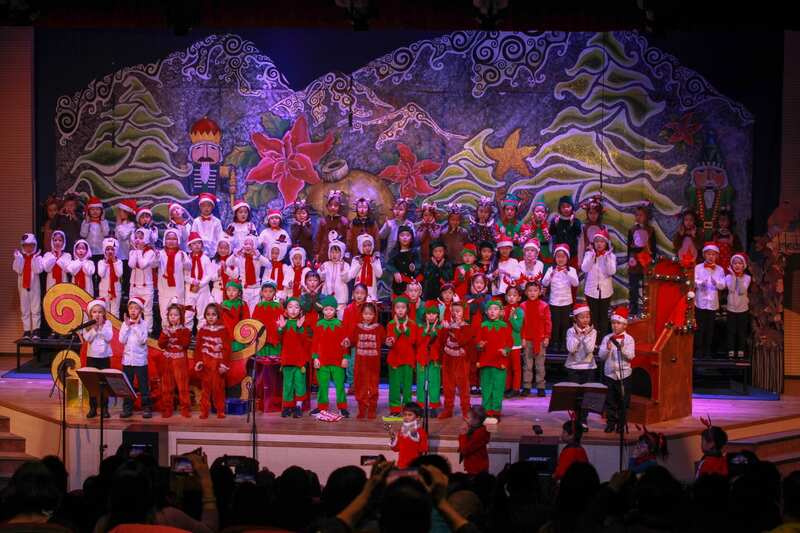 And, of course, this magic was supported by the Performing Arts department, the Visual Arts department, and our year level teachers who have all done a wonderful job with the fantastic set designs, the overall organisation of the events, and helping to prepare our talented students for these incredible performances. From everyone at YCIS Pudong, we wish you a very MerryChristmas and a HappyNew Year!